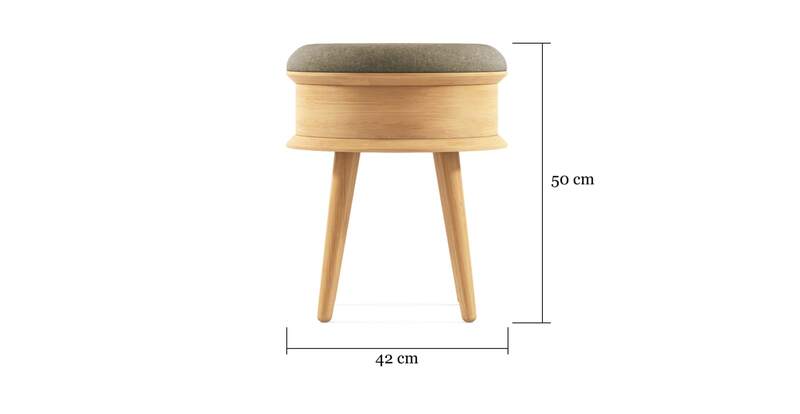 This luxurious stool absolutely radiates Scandinavian style, with smooth, crisp lines and slender legs that come to a smart tapered point. 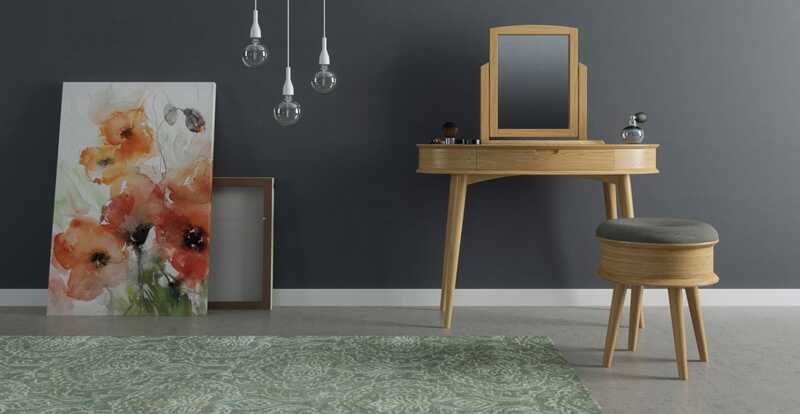 Looks perfect when paired with the Ethan Dressing Table with Mirror. The Ethan stool comes with a cushion built in to ensure maximum comfort while staying simple and practical. Completed by a beautiful veneer finish, this little stool exudes a quiet luxury. Available in either walnut with a leather cushion or oak with a wool fabric. Constructed expertly and with care, this little stool is built on solid foundations and will stand up to years of use in your home. Match it with the rest of the Ethan Collection to complete your bedroom look! See, touch and feel our fabrics used on our Ethan Stool with Seat Pad. For Free! Simply select up to 3 fabrics and add them to your cart. Delivery is on us.